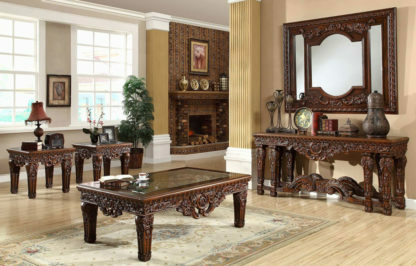 Aarsun Woods brings to your living room finely hand-carved Furniture Set made from premium quality Teak Wood and finish. The design, the look and feel brings coziness and comfort to your room. The Furniture set includes a set of small stools, a coffee table, a side cabinet with a Wooden Frame that can be individually placed wherever needed. 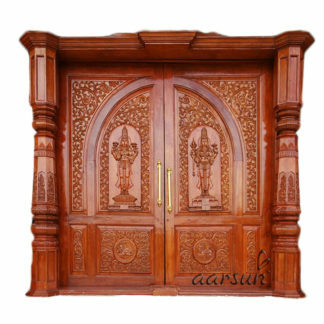 Aarsun Woods has been offering handcrafted Wooden Furniture and other handicrafts famous in Saharanpur, Uttar Pradesh. All the units are carefully handcrafted by skilled artisans with customized options. 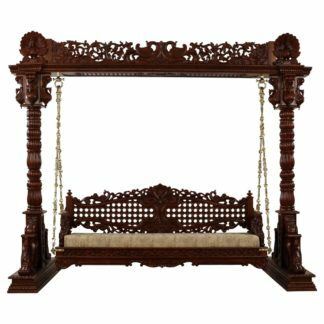 The units are finely carved in traditional royal floral style famous in the Mughal era. The Living Room Furniture Set is made of Teak Wood (Sagwan / Sagaun / Sevan) which is a durable hardwood and is known for its longevity, weather resistant and termite resistant properties. Simply put, this Aarsun Furniture Set has an amazing feel when it comes to premium Furniture. The Furniture Set can also be customized to your needs. Just give us a call at +91-8266888634 or WhatsApp on the same to get instant quotes and delivery estimates.